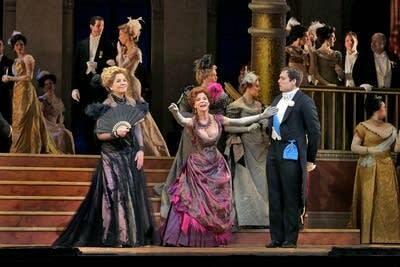 This weekend, the Metropolitan Opera presents The Merry Widow by Franz Lehár, an operetta that has won a regular place at leading opera houses around the world. What's the difference between operetta and opera? Above all, it's a question of tradition. 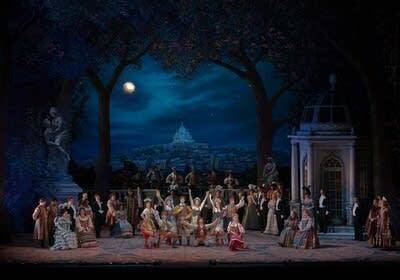 By the 19th century, opera had a long and distinguished tradition. It was often supported by the local government or aristocracy: hence names like the "Court Opera" or "Royal Opera House." 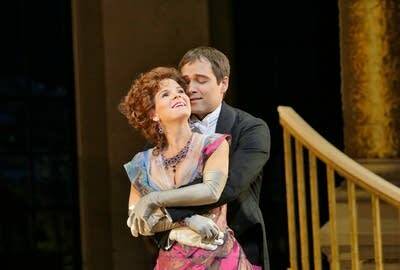 When operetta emerged, in the middle of the century, it was not in those august venues. 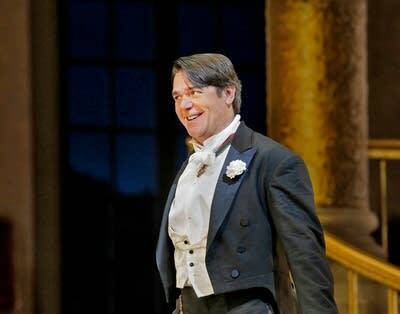 Operetta had its own stars and its own theaters  often highly profitable. And while opera, in the hands of Wagner and Verdi, was becoming musically more complex, operetta was frankly entertaining. It relied on catchy tunes and popular dances of the day. 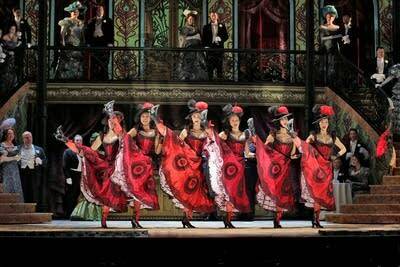 Unlike grand opera, which is sung from start to finish, operetta tended to have long stretches of spoken dialogue. Its subject matter was topical and often satirical. 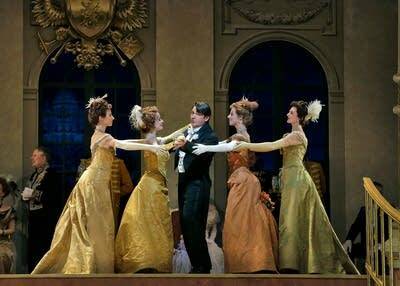 Offenbach in Paris, Gilbert and Sullivan in London, and Johann Strauss in Vienna all poked fun at respectability and authority  and at opera itself. As time went by, operetta composers discovered that they weren't restricted to satire. They could also give their audiences romance and escapism. 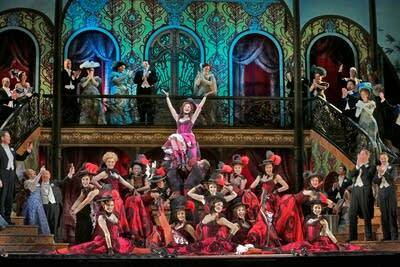 The Merry Widow, from 1905, takes place in a glamorous Parisian setting. But it also manages to bring in Slavic local color, since many of its characters come from the fictional country of "Pontevedro." The title character, Hanna, has come into a substantial inheritance  and in this operetta, it seems to be a truth universally acknowledged that a widow in possession of a good fortune must be in want of a husband. When prospective bridegrooms set their sights on Hanna, rivalries swirl and romance crackles. Lehár's score is a succession of hit tunes  the famous "Merry Widow" waltz, the "Vilja Song," and numbers based on dance rhythms like the polka, the galop, the march, and even the newest import from America, the cakewalk. The Merry Widow was a huge international success, and helped to give operetta a new lease on life that continued for decades. Later in the 20th century, operetta would lose some of its popularity, but never entirely vanished. It left its mark on works by Rodgers and Hammerstein, Sondheim, and Andrew Lloyd Webber. 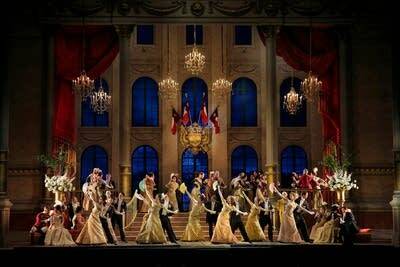 Opera houses began to welcome some of the best-known works in the genre. Current opera stars like Jonas Kaufmann, Diana Damrau, and Thomas Hampson have recorded operetta albums. 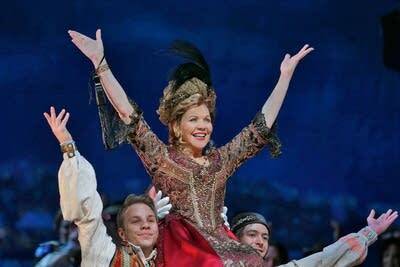 The team for the Met's new production of The Merry Widow includes Renee Fleming and Nathan Gunn, and also Broadway luminaries Kelli O'Hara and Susan Stroman. Perhaps operetta, which might seem to suggest a long-ago neverland, is not as distant as we might think.